"Deconstructing the Religious Free Market"
Abstract: Scholars have frequently alluded to the normative value of the religious free market fostered by the twin legal guarantees of the free exercise of religion and the absence of state establishment of religion. But given that the desirable normative interpretations of these two clauses differ widely, the nature of the resulting market is inevitably dependent on one’s choice of these contested interpretations. 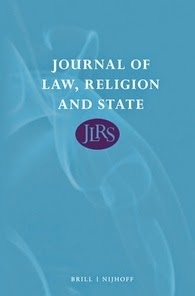 Similarly, the “entitlement to free competition” depends on the definition of “religion.” The present article deconstructs the religious free market into its legal components and discusses critically how the different interpretations and combinations of these legal components materially affect the resulting religious market. Click here to download the article.